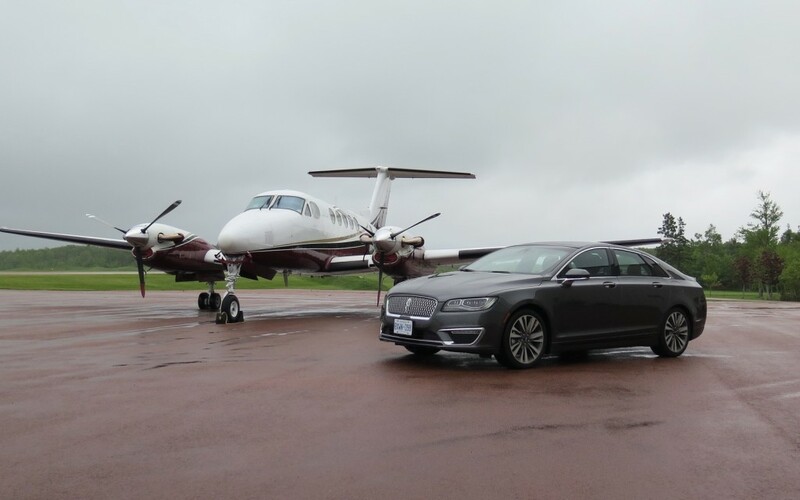 WALLACE, NS – Four years ago, a development team within Ford Motor Company started work on the rebirth of the Lincoln brand. While SUVs figured prominently in that plan, sedans are what the brand is best known for. The mid-size MKZ and the full-size MKS currently carry those banners but the latter will be replaced by the all-new Continental this fall. In the meantime, the MKZ, introduced only last year, has been heavily revised for 2017. There were three goals for the development of the MKZ – distinctive design, attention to detail and fun to drive character. The new look starts with a one-piece signature grille, similar to the Continental’s, which will be the face of all new Lincolns going forward, replacing the controversial “waterfall grille” currently in use. It is flanked by HID or available LED headlights, which not only provide great lighting but also allow a lower hood line. The truncated rear end now features a pair of large chromed exhaust outlets. 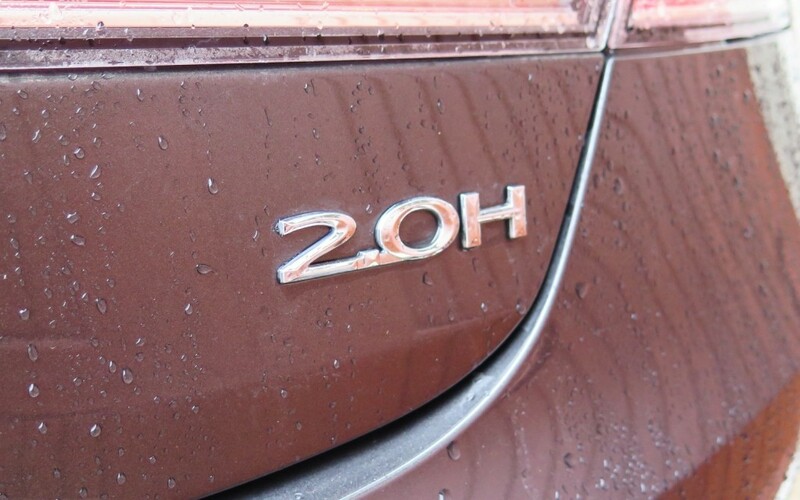 The basic lineup includes two models – hybrid and 2.0 – with two trim levels for each, Select and Reserve. It’s no accident that those names are terms familiar to wine aficionados. A third, 3.0 model will follow. Lighting plays an important role in the new MKZ. It starts as you approach the vehicle when the area surrounding it is highlighted to greet you. The 2017 model gets a new colour palette inside and out and the materials used for both seat and trim have been upgraded lending a distinct aura of luxury, reinforced by an exceptionally quiet ride. In a reversal of current trends, and in answer to customer feedback, switches and knobs have replaced the sliders used previously for HVAC and audio system controls. 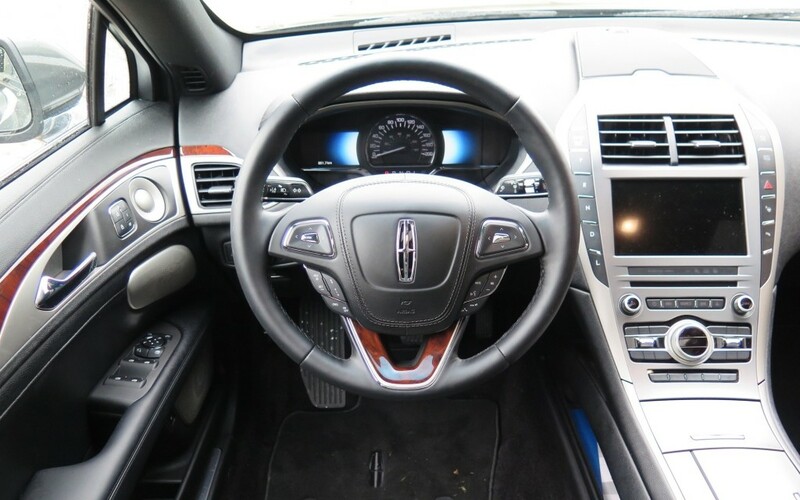 The Lincoln-exclusive push-button transmission controls carry over. Also revised as a result of customer feedback, Ford’s new Sync 3 infotainment system is vastly superior to its predecessor with crystal clear graphics, quicker response time and more intuitive navigation. The MKZ’s leather is supple and emits a pleasant aroma and there is plenty of wood and aluminum, with precious little blank plastic. There are lots of storage areas, including a couple in the centre console accessible from either side. The overall aura is that of a luxury car, well-distanced from the Ford basics beneath. The optional sunroof is massive, a single piece of glass that slides back over the rear window as it opens. 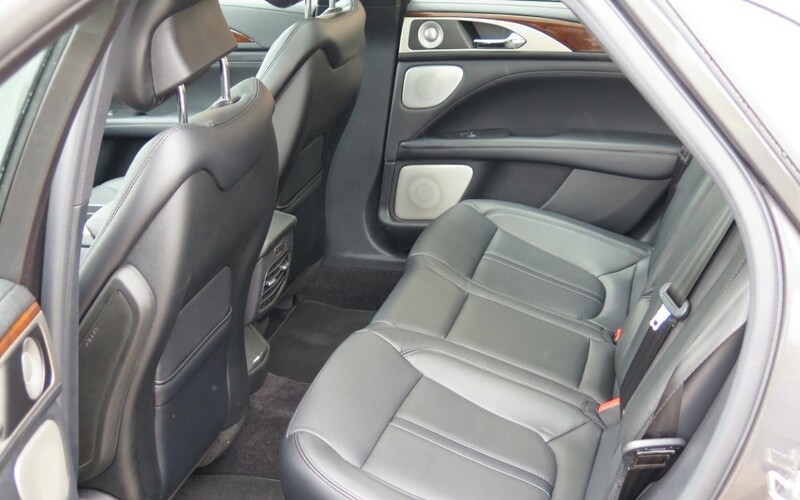 It does however mean taller folk won’t be happy in the rear seat, due to the reduced headroom. The MKZ is available with two levels of Revel-branded audio systems. 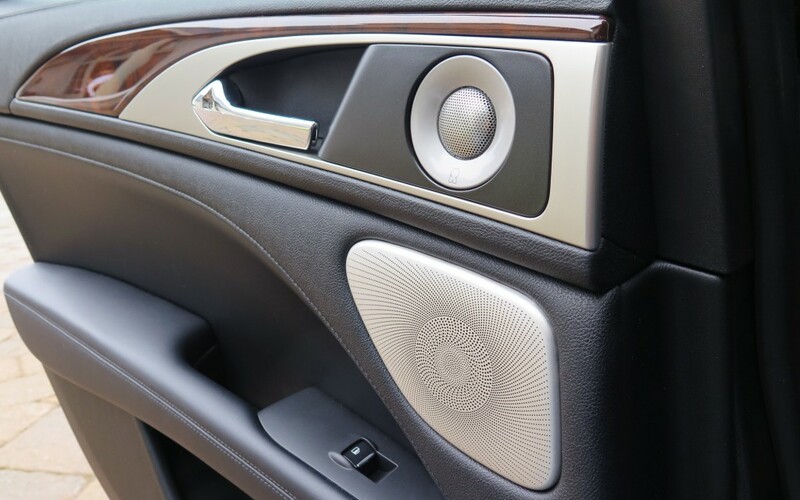 Founded on proven acoustic, mechanical and psychoacoustic engineering principals, both use speakers mounted in all four doors. The entry-level Revel system has 14 speakers and 12 channels while the Revel Ultima series offers 20 speakers and an equal number of channels. 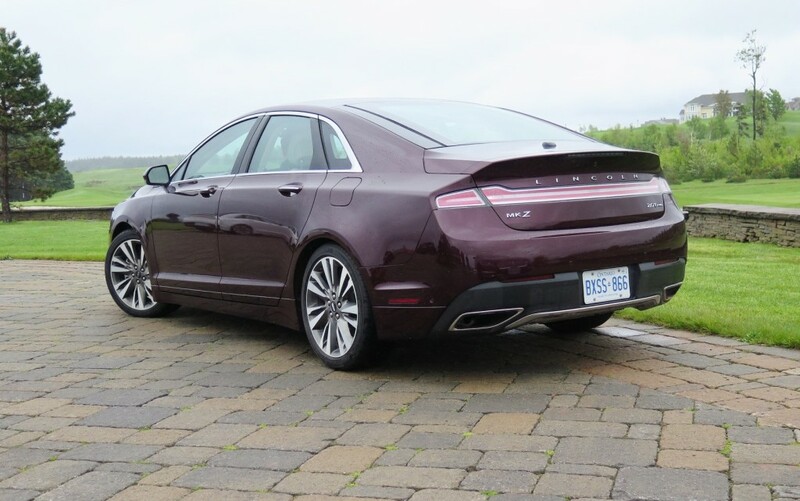 The new MKZ will be available initially in two drivetrain configurations – 2.0 and hybrid. The former is powered by a turbocharged 2.0-litre four-cylinder engine sending torque to all four wheels through a six-speed automatic transmission. The hybrid has a normally-aspirated 2.0-litre four paired with a continuously variable automatic transmission (CVT) and front-wheel-drive. The two variants are priced the same with the hybrid bringing excellent fuel economy at the cost of some performance and trunk space. 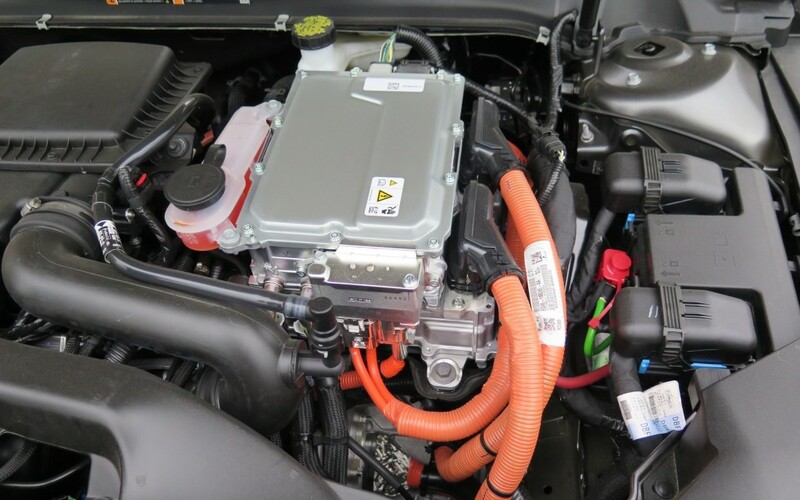 WhiIe the engineers have done an excellent job of integrating engine and motor, the internal combustion unit in the hybrid is slightly less refined than its more powerful sibling. With the arrival of this updated MKZ and the forthcoming Continental, Lincoln dealers can breathe a sigh of relief after a few lean years. Sales of the brand were up 15% last year and that trend continues – up 18% so far this year. The rebirth of Lincoln is gaining momentum.